It's all about light, and the best light is often when you would rather be still in bed. 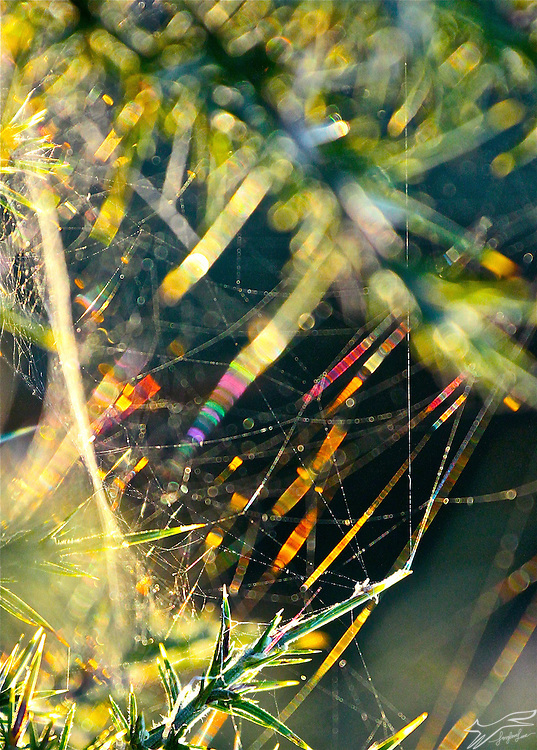 Early morning dew drops on spider's webs turn to dazzling rainbows in the dawn light. To buy, 95 Euros unframed, numbered and signed print, centred on A2 (Large) paper, includes postage, contact me directly.